Of course the other interpretation of events is that Rob Mullens’s incentives are imperfectly correlated with Duck football success, and that his main concern was to impress his bosses with a plausible quick hire and then lock in his own lucrative contract before the next scandal became public. Which he did very skillfully. No, I’m not talking about the decision to hire Dana Altman, or give Altman a raise and contract extension, or his various scandals. And I’m not talking about hiring Mike(?) Helfrich, or his raise and contract extension, or the decision to then turn around and fire Helfrich under the new contract terms costing UO $13.7M or so for buyouts which we’re still paying out. Tagged Rob Mullens, Willie Taggart. Bookmark the permalink. It does seem like there would be economies of scale and scope from combining the Ducks and the Bach Festival into one scandal-ridden, secretive, money-losing, poorly managed operation with lax JH oversight. Yeah, he didn’t seem to mind having a coach that would outright lie to the media about being contacted by FSU. I guess its the same qualities you want in a coach that would lie about other things for you? No worries, UO! Despite (admittedly) awkward appearances to the contrary, Coach Willie and the Ducks part mutually and on the best of terms. While we have concluded that this relationship isn’t “right” for either of us at this juncture, both parties also agree that we will honor and cherish the memories of our one truly excellent year together, for the rest of our lives apart. We hope that all of you, our family, friends and colleagues, will honor and respect this understanding as we, Coach Willie and the Ducks, have also pledged to do. It never occured to JH denizens that someone would walk away from that sweet “coach and their guests only” hot tub room and other amenities. The good news is that now there are a few million extra dollars freed up to reduce tuition, hire professors, or blow on more football crap. Why not hold a referedum on this with the students? 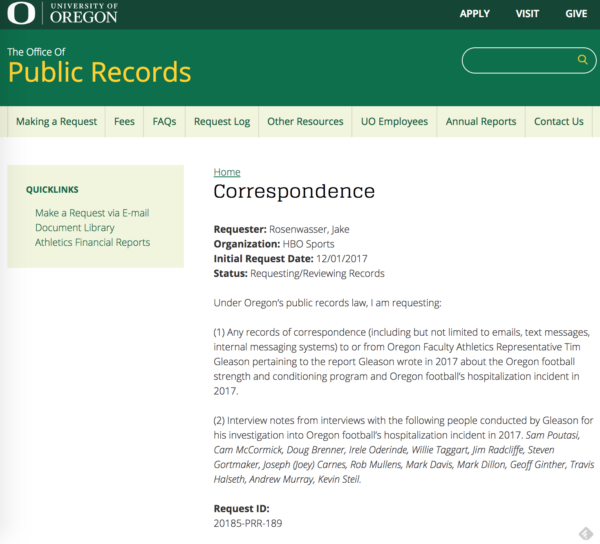 Resolved: UO phases out interrcolegiate athletics.